If you've been taking an antidepressant, you may heard that many people have symptoms when they stop their medications. What do you need to know before discontinuing your antidepressant? 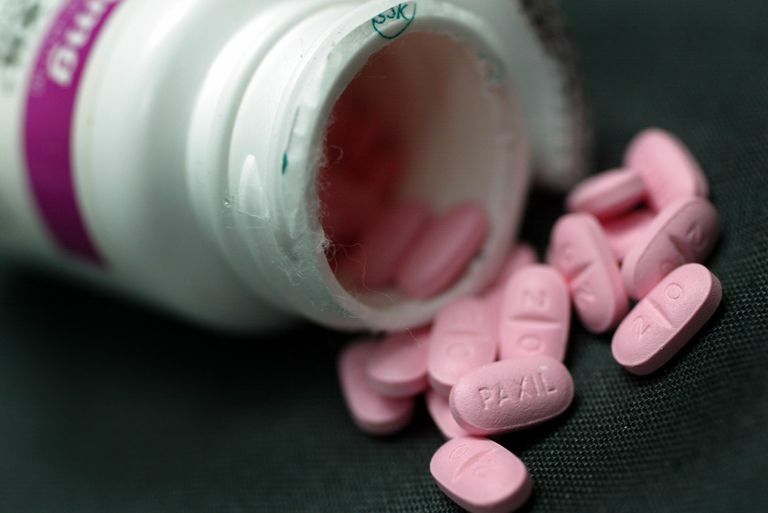 About 20 percent of patients who have taken an antidepressant for at least six weeks will develop what is known as discontinuation syndrome if they abruptly stop taking their antidepressant. Discontinuation syndrome may include symptoms such as fatigue, nausea, muscle pain, insomnia, anxiety, agitation, dizziness, blurred vision, irritability, tingling sensations, vivid dreams, sweating or electric shock sensations. Some people describe these symptoms as being similar to a flu infection. The severity of these symptoms are can vary significantly. Some people have few or no symptoms when they stop their drug, whereas others may find these symptoms extremely uncomfortable. Because discontinuation syndrome is quite unpleasant for many people and may interfere with daily functioning, it is wise to gradually taper off your antidepressant rather than stopping "cold turkey." Tapering off can help to reduce or even eliminate these symptoms. It's important for people to realize that symptoms related to the discontinuation of antidepressants can be very similar to the symptoms which prompted you to take an antidepressant in the first place. Some people are frightened that their depression or anxiety is returning full force, when actually what they are experiencing is a discontinuation syndrome which will resolve by itself in time. Timing can help you understand the difference. If depression or anxiety recurs after stopping an antidepressant it is often a gradual process which slowly worsens over time. In contrast, symptoms related to withdrawal from one of these medications often occur very soon (within a day or so for some drugs such as Paxil (paroxetine) and slowly improve over time. While you may have arrived at this page hoping to find instructions for tapering off on your own, you should always consult with your doctor before you stop taking your antidepressant. First and foremost it is important to determine if you have achieved your therapeutic goals, which are to achieve complete relief from depression symptoms and to restore you to normal functioning. These goals are important because research shows that patients in full remission are less likely to experience future episodes of depression; and, if they do experience an episode, it may take longer for it to develop. Secondly, if your goal in stopping your antidepressant is to avoid side effects, your doctor may be able to help you find other ways to combat these side effects without stopping treatment. Finally, your doctor can provide you with the benefit of his knowledge and expertise in selecting the best plan for tapering off. Because there are no clearly established procedures for tapering off individual antidepressants, your doctor will use her clinical judgment to consider several factors—such as the dose you are taking, how long you have been taking the medication and the half-life of the drug—to decide what schedule you should follow in tapering off your medication. In addition, your doctor may modify the plan, depending on how you respond. Keep in mind that your tapering schedule is subject to change, and your doctor may recommend either weaning more rapidly or more slowly depending on your symptoms. Some medications may not require tapering. Whether or not you will need to taper your medication depends on the half-life of the medication you are taking. The half-life of a drug refers to the time at which half of the medication is gone from your body and half remains. This amount of time can vary tremendously between different drugs. Some antidepressants such as Paxil (paroxetine) and Zoloft (sertraline) have relatively short half-lives. The drug "gets out of your system" quite rapidly. Others, such as Prozac (fluoxetine) have long half-lives. These medications slowly disappear from your bloodstream over time and, in a sense, wean themselves. Taper off the medication gradually. This means taking smaller and smaller doses of the medication over time. It may be possible to discontinue a medication more quickly if the dose was low to begin with. Discontinuation may take longer if the patient has been on the drug for an extended period of time. It may be possible to stop Prozac (fluoxetine) without tapering, due to its relatively long half-life. What If I Still Have Symptoms While Tapering Off? Even with a gradual taper, it is possible that you will still experience discontinuation symptoms. In this case, your doctor may have you resume your medication and taper off more slowly. Another option is the administration of drugs to alleviate individual symptoms, such as a benzodiazepine like Valium (diazepam) or Librium (chlordiazepoxide) for anxiety, or a motion sickness drug like Bonine (meclizine) or Dramamine (dimenhydrinate) for dizziness. It's important to remember that everyone is different when it comes to weaning off antidepressants. Some people are able to stop their antidepressant - even those with a short half - relatively quickly without any significant symptoms. Others may have more bothersome symptoms, and require the drug to be tapered slowly, over a period of weeks or even months. If you are frustrated that you need to taper slowly, look back at where you came from. If you have worked your way through depression or anxiety and achieved your goal of complete relief from these conditions, commend yourself on your progress. Being patient and easy on yourself and celebrate how far you have come. The vast majority of people are able to wean themselves off of these drugs in a matter of time. Fava, G., Gatti, A., Belaise, C., Guidi, J., and E. Offidani. Withdrawal Symptoms after Selective Serotonin Reuptake Inhibitor Discontinuation: A Systematic Review. Psychotherapy and Psychosomatics. 2015. 84(2):72-81. Renoir, T., Selective Serotonin Reuptake Inhibitor Antidepressant Treatment Discontinuation Syndrome: A Review of the Clinical Evidence and the Possible Mechanisms Involved. Frontiers in Pharmacology. 2013. 4:45.